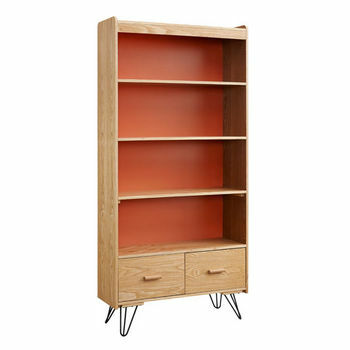 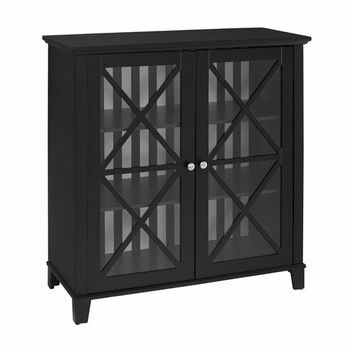 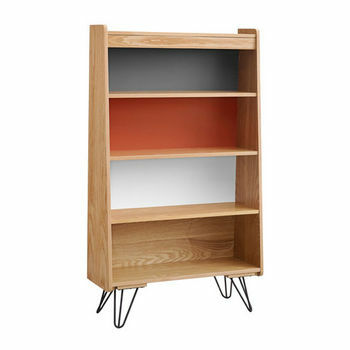 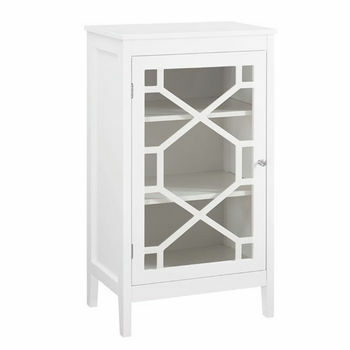 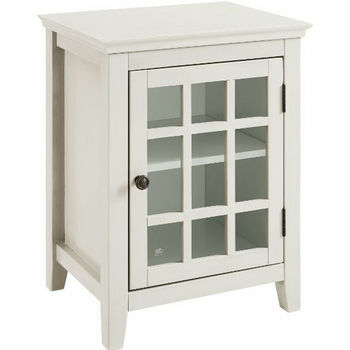 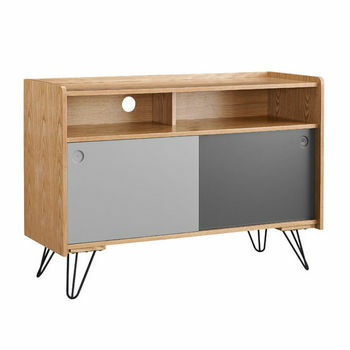 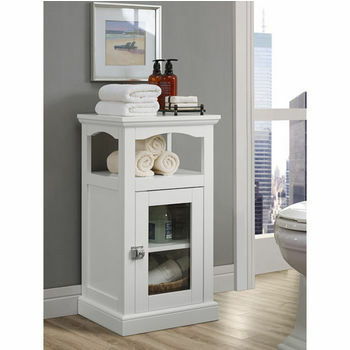 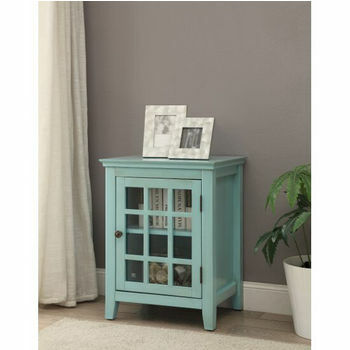 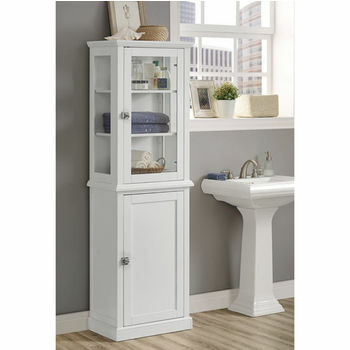 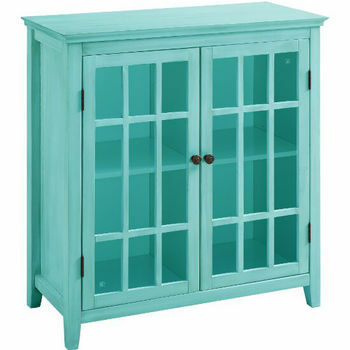 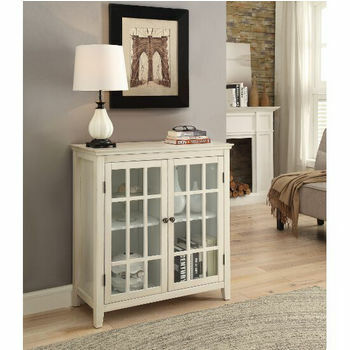 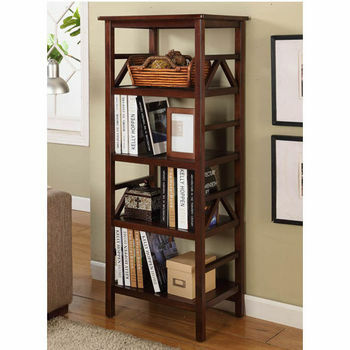 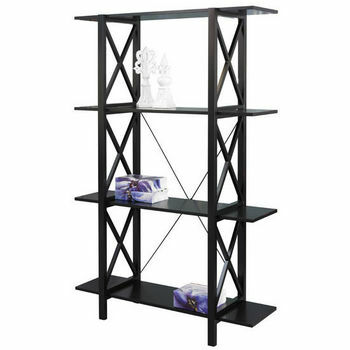 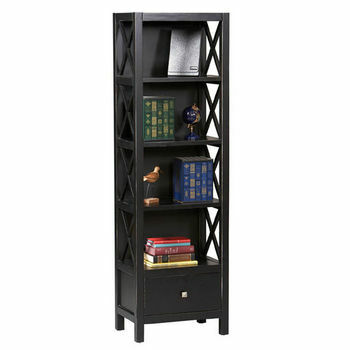 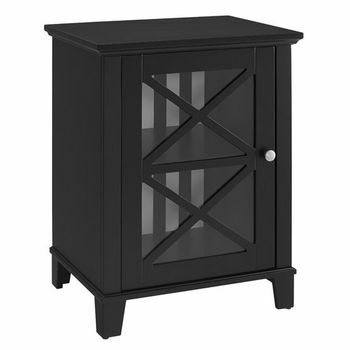 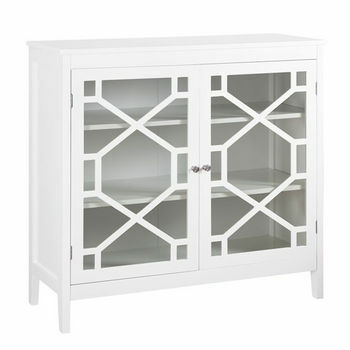 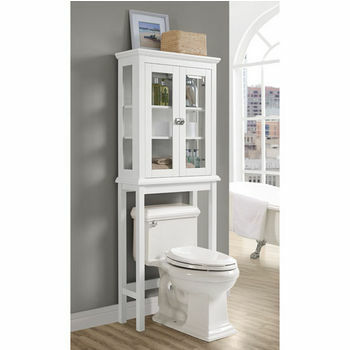 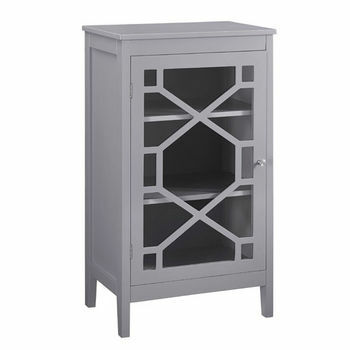 Store your books, magazines, favorite collectibles and other decorative items in a bookcase from Linon. 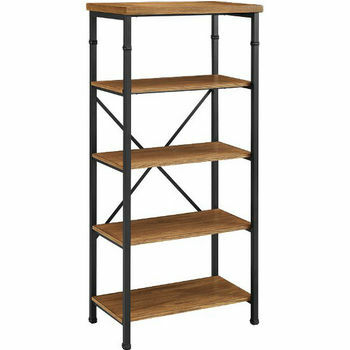 The bookcases are made of solid hardwood and come in a narrow five-shelf, a five-shelf and a two-shelf configuration to accommodate whatever you need to store or display. 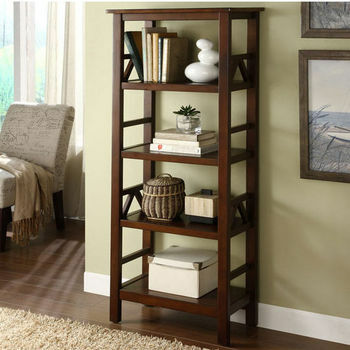 These bookcases are versatile enough for the bedroom, living room, family room or home office and offer a convenient and stylish way to keep your things organized. 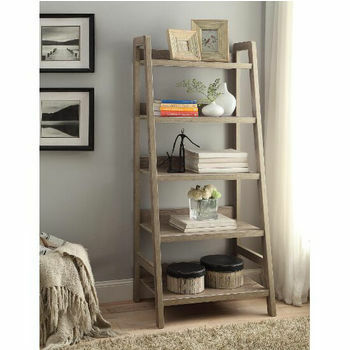 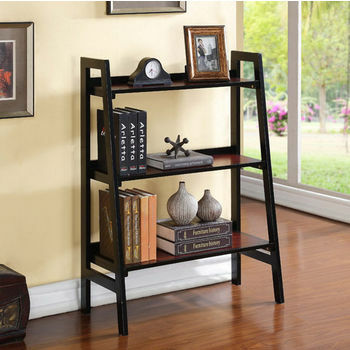 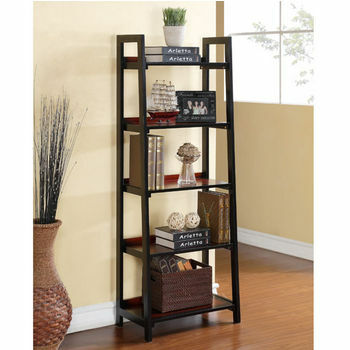 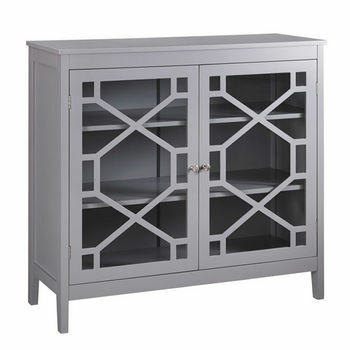 Criss-cross details and fine finishes make these bookshelves the perfect choice for any room in your home.